If you don't have the ceiling clearance to get a rack with a pull-up or kipping bar, consider pairing one of our Profile Folding Squat Racks with our PRx Wall Mount Pull-Up Bar! Made of sturdy steel, this pull-up bar will make a great addition to your gym! 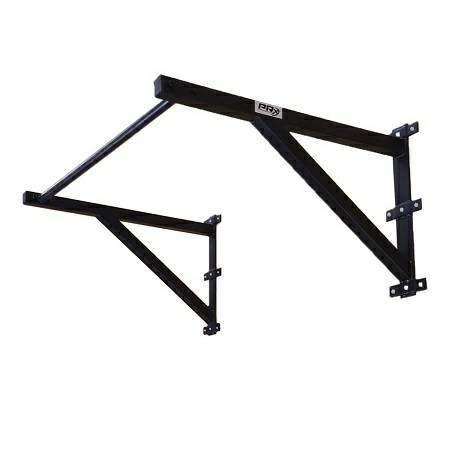 ﻿﻿Pull-up bar depth from wall: 34"
﻿﻿Pull-up bar width: 45 1/2"
﻿﻿Wall Brace Height: 23 1/2"